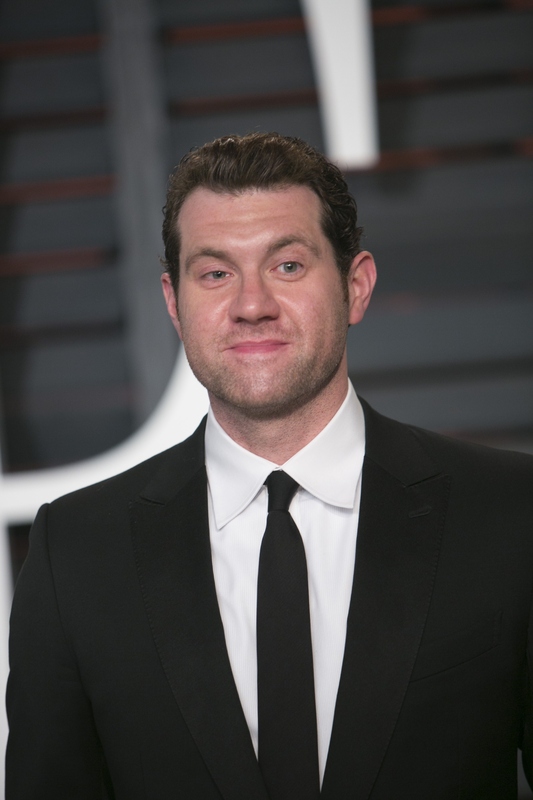 Billy Eichner has taken over television, the internet, and even live events. His famous Billy on the Street bit was a huge success at the Emmys. During NBC's Red Nose Day, Billy Eichner teamed up with Martin Short for a comedy segment and fundraiser. How much did they raise? True to the home grown nature of Billy on the Street, they only raised a whopping 22 dollars. Every little bit helps! The two took to the streets of New York to try and get dollars from passers by instead of giving them away. There was no contest, just fundraising. It was a little bit awkward to have Eichner ask for money, and against the "game" of his regular schtick, but since the money is going to such a good cause, I'll let it slide. The first woman they talked to was pretty insistent that Martin Short was not himself, even when he started doing character voices and bursting into song from Three Amigos. She wasn't having it! Eichner tried to pimp out secrets from the comedy legend for charity. I'm sure Martin Short has many tales to tell, about everyone from Steve Martin to John Mulaney. However, there's no way he was going to dish anything on such a lighthearted day. Red Nose Day is all about positivity! For 20 dollars, Martin Short told us secrets about Diana Keaton's bowler hat. One very savvy pedestrian called for Mulaney to be back on the air. Red Nose Day can do a lot of good, but I think even that is beyond their power. Meanwhile, Billy Eichner seemed intent on reminding everyone that Martin Short was on three episodes of Weeds — which is true! Not only did they raise a ton of money for charity, but this short bit was educational as well. Watch the segment here!